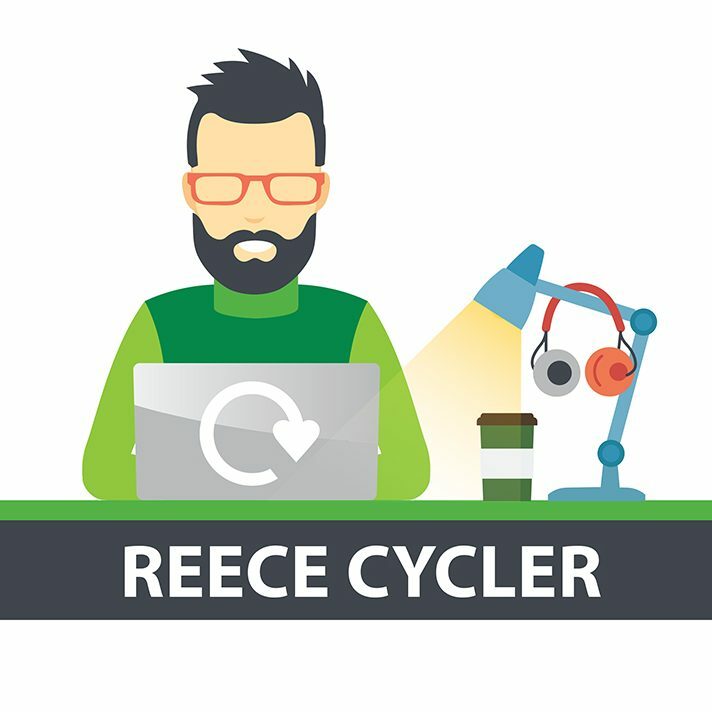 Hi, I’m Reece Cycler and I’m a Recycling Zone Warden for Colchester Borough Council. We’re bringing in some pretty radical changes to our recycling and rubbish collections in June and I thought it would be useful to share some of my recycling knowledge with you all. The main change will be the introduction of fortnightly collections for general rubbish, alongside a maximum limit of three 60 litre black sacks per household (or a 180 litre wheelie bin in selected areas). I’m really passionate about getting everyone in Colchester recycling more, but also realise that many of you will find these changes quite daunting (especially the 3 bag a fortnight limit). So I plan to share some great recycling ideas, alongside hints and tips to help you meet these new limits. You never know I might even be able to help you save a few pennies (or £££) along the way, which can only be a good thing! The good news is that the food waste (the smelly part of your rubbish) will continue to be collected weekly in your food waste caddy. Also, you’ll still receive your free clear recycling bags and these are being delivered from 2-26 May. It’s no secret that wheelie bins are being introduced into specific areas of the Borough. If you live in Mile End, Greenstead, Old Heath, Shrub End, Stanway or Berechurch and if your collection method is changing to a wheelie bin, sometime in the next two weeks you’ll receive an A5 postcard telling you that this is happening. So keep your eyes peeled for that. I have the black bag system and therefore have to store them for two weeks outside. I live in Tiptree which means we have rats, urban fox and feral cats looking forward to rummaging through my waste. If I have an extra bag or two I may have a build up of waste that will get more horrid as time passes without collection. This gives a potential hygiene problem. What are your recommendations for containment and storage? Perhaps I should get a wheelie bin to safeguard the weak bags and allow me to move them more readily from storage to collection points, or will it be alright to leave the out front? The only other item that animals may be after is excess pet food (as you can’t put this in your food waste caddy). If you have this problem I suggest you store your non-recyclable black bag rubbish in metal or plastic bins, with secure tops. I would also advise putting your black bag rubbish out on the right collection day just before 7am, not the night before. Remember, from the 19 June there is a limit of 3 black bags every two weeks – so please recycle as much as you can. As a recycle expert I am surprised you haven’t considered that many items are contanimated with organic matter that cannot be put in the caddy including nappy waste, meat packaging which often contains blood, empty crisp packets etc. And I have to say for the first time ever that this year we had maggots crawling out of a black bag which a fly had managed to penetrate. That created more mess than I like to remember as I tried to exterminate them. By the by we also have to put dead birds, fish etc in the black bins so any further suggestions should be based on practice rather than theory. We do live in the countryside and that is a place where events happen that may not be as problematic as in large towns. Fortunately for us we are two oap’s so make less waste than bigger families, we do however have family with children and they are regular visitors so we still manage to use up most of our black bin allowance. So while you say tough that’s your allowance where are we supposed to dump the rest? I agree your suggestion of a wheelie bin would help contamination of waste but then you say we can’t have them. I am willing to purchase one but if you refuse to empty it what is the point. Thanks for posting a comment and I’m sure this will be of interest to others. Contamination can be an issue for some items. A good example of this is food or oil contamination on paper/cardboard e.g. pizza boxes and fish and chip paper. Since the paper is mixed with water in a large churner, the oil separates from the paper but does not dissolve. Most recycling plants are not able to recycle these and therefore need to go in your black bag. Plastics, metal and glass are recycled by using a heat process so usually food or oil is not much of an issue. This would include meat/fish packaging. To keep your recycling bins clean, it is a good idea to give these items a quick rinse and put in your clear bag for recycling. There are items that unfortunately can’t be recycled, usually due to the materials or processes used in manufacturing. These include items such as disposable nappies and crisp packets, which need to go in your black bag. During a heat wave in August we know that a small number of residents struggled with maggots. Did you see my blog post on helpful tips to reduce the risk of seeing maggots? In regards to dead birds/fish, I would advise that you double wrap it and place in an outside bin with a secure lid. The Cabinet of the Council decided it would only introduce wheelie bin collections for residual and garden waste in those areas where a majority of residents had indicated in the 2016 survey that they would like to move to this type of collection. This was then confirmed by Ward Councillors. Areas remaining on sack collections are only visited by a vehicle that can accept black bags for residual waste. Therefore, it will not have the equipment to lift wheelie bins. its Lea again the letter to Micheal above has been a help to me as well thank you for that. If I sometimes have more than 3 bags will you take them. Another thought I have cat litter which take quite a lot of room up in the bags particularly in the winter months. Are there any special bags or boxes for this. I did ask about this some years ago and was told to just put it in the black bag does this advice still stand. Thank you Lea. The limit will be 3 black bags a fortnight all year round, so we will not be able to take any extra bags. Yes that advice still stands for your cat litter, it will need to go in your non-recyclable black bag rubbish. Hi. I have a question re garden waste. Up until the new calendar came out we were able to put out 8 bags or garden waste from around November to March time. Is this still the case? Can’t see any mention of this on the website. Many of us have large gardens in tiptree and clearing up in the autumn takes up a lot of space even when composting. The decision to move to collect four sacks of garden waste or one wheelie bin all year round was part of the collection changes that happened in June. The limit was shown on the Recycling Calendar that was sent to all households in June and is on our Frequently Asked Questions here. However, I agree that it could be clearer and I will look to put some more references to this all year round limit on our website where we talk about garden waste over the next week. We are keeping the volumes of garden waste we collect under review and if capacity allows the collection of additional garden waste will be considered.